This is the second blog in a week-long series to highlight the importance of disaster preparedness. Follow us this week as we take a look at how NOAA prepares for natural and human-made disasters, and how you can prepare for the 2018 hurricane season. Share your #DisasterPreparedness strategy by commenting on our blog, or replying to our Twitter and Facebook. The Disaster Preparedness Program (DPP) in the Office of Response and Restoration works to prepare the National Ocean Service and its partners to respond to and recover from pollution events and natural disasters. One of the ways we achieve this objective is to provide training to complement that provided by our partners such as the National Weather Service and the Federal Emergency Management Agency. The DPP has developed training on the science of coastal natural hazards and an Incident Command System 300 course for NOAA responders. In addition, the DPP provides support for exercises and drills to help NOAA and our partners familiarize themselves with these scenarios and identify areas for improvement to improve preparedness for a real event. The DPP participated in the last National Level Exercise on the NOS team and is currently working on an after-action report which will summarize the exercise and recommendations. 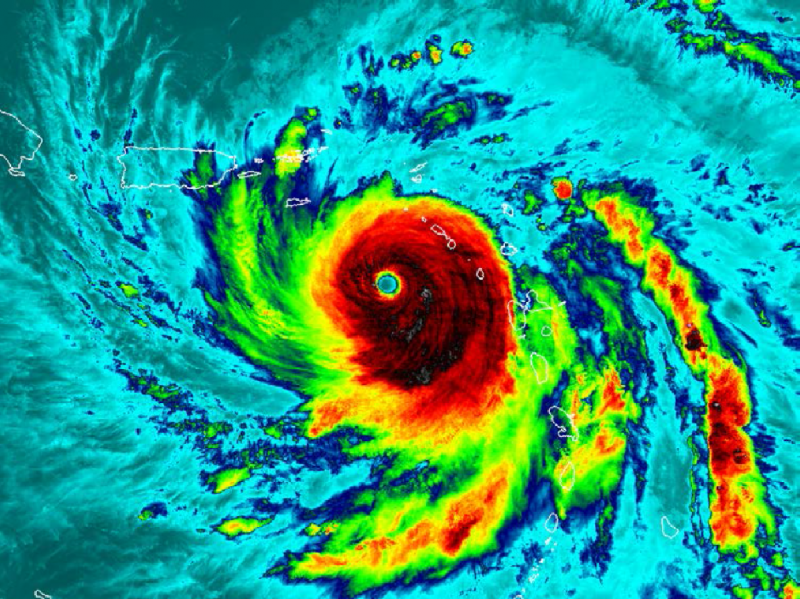 The 2017 hurricane season will long be remembered for the extreme devastation it caused in Texas, the U.S. Virgin Islands, Puerto Rico, and Florida as well as our neighbors in the Caribbean. While long-term recovery efforts continue, plans have to be readied for the soon-to-arrive hurricane season of 2018. No one knows how the United States will be affected by hurricanes this year, so plans must be prepared with the possibility that your community will be impacted. Chris Penney, Manager of FEMA’s National Hurricane Program discussing the role of the Hurricane Liaison Team at the Interagency Coordinating Committee on Hurricanes in Philadelphia, Pennsylvania (March 28, 2018). During this past winter and spring, the National Hurricane Program provided critical training for emergency managers that will help them to make well-informed decisions for the next hurricane. These life and death decisions include ordering evacuations of residents away from the coast, closing schools, and preparing their communities from the hurricane winds, storm surge, fresh water flooding, and tornadoes. This “off-season,” emergency managers have had the opportunity to get new or refresher training about hurricane forecast and hazards, new Hurricane Evacuation Studies (led by the U.S. Army Corps of Engineers), and how to commence the decision making process when a hurricane threatens by applying the HURREVAC Decision Support Tool. 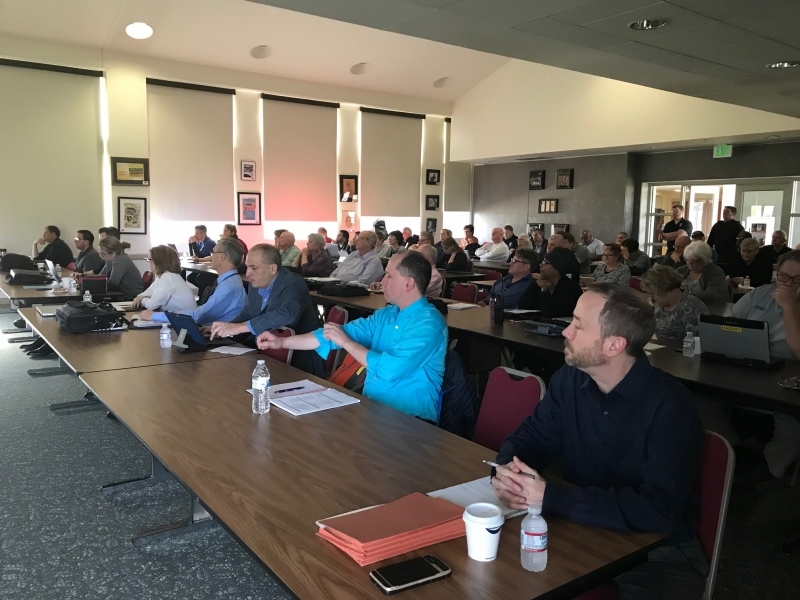 Eighty-five attendees of the Delmarva Evacuation Workshop (coordinated by Jeff Cook from FEMA Region III) in Cambridge, Maryland rolling up their sleeves to better plan for hurricane impacts for Virginia, Maryland, and Delaware. (April 3, 2018 - Joseph L. Thomas, Director, Sussex County [Delaware] Emergency Operations). Training sessions this past winter and spring were held in many locations, including the National Hurricane Center in Miami, the FEMA Region III office in Philadelphia, and in several states including Massachusetts, New York, New Jersey, Delaware, Maryland, Virginia, Florida, and Texas. These trainings have resulted in hundreds of emergency managers receiving these crucial updates, and additional courses are scheduled for the summer. 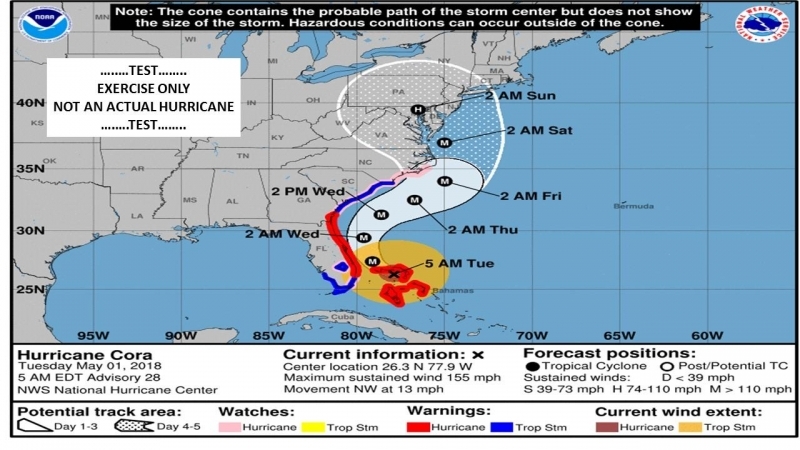 Such training is an annual necessity due to the availability of new forecast products by the National Weather Service/National Hurricane Center, revised Hurricane Evacuations Studies due to increasing populations along the coast, changes and updates to decision support tools and capability, and job turnover in the emergency management community. Trainings also promote the availability of operational decision support and technical assistance through FEMA’s Hurricane Liaison Team (HLT). The HLT is embedded at the National Hurricane Center and facilitates the rapid exchange of critical information between the NHC and the emergency management community. Power outages and critical interdependencies. It is through these detailed, realistic exercises that existing hurricane plans can be examined before the next storm threatens the United States. If gaps or problems are uncovered, they can be remedied so that FEMA and partners at the local, county, and state level can help people be safer and better prepared for when (not if) an actual hurricane comes to shore. It is also an opportunity to revisit lessons learned from the previous hurricane season and implement them during the exercise. These efforts by FEMA’s National Hurricane Program and FEMA’s National Exercise Division are two of the ways that the nation will be more resilient the next time a hurricane threatens. Chris Landsea, National Hurricane Center in Miami in May 2018.